You. Me. 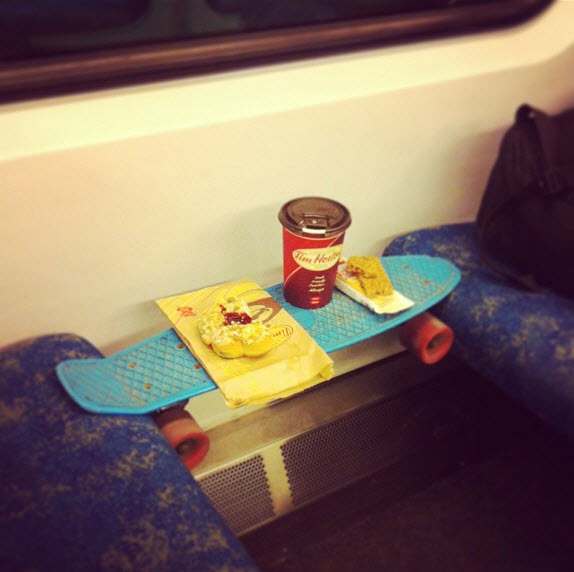 Ride This Crazy Train - Adventures and Observations on The GO: Need a table? Here you "GO"
So, you put your food on something you ride with your feet? Gross. Not me. But at least there's a sheet of paper under the donut.